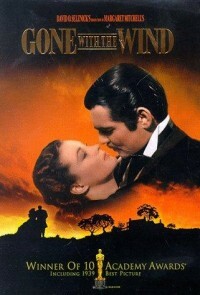 Gone with the Wind – The Future of Cinema in Peril? | My "Marketing Nirvana"
I confess, I haven’t gone to the movies as much as I would have liked to last year. Often, by the time I got around to planning a trip to the cinema, the movie I had chosen had already left my favorite theater. My own experience with the movies parallels the 2011 decline in box office sales; the lowest gross in 16 years according to George Lewis’ recent report, Box Office Blues on NBC Nightly News. Lewis notes despite the success of Harry Potter’s film finale blockbuster, moviegoers have cut back due to pricing and the availability of streaming technology. How many of us are already viewing movies in this way? Based on Lewis’ reporting of a study from earlier this year, streaming movies and TV on Netflix comprised roughly 30% of Internet traffic, while movie attendance decreased 5% from 2010. What’s the remedy? Cinephiles direction to Hollywood – Give us something EXTRAORDINARY! So, will the movie industry take a cue from Hitchcock and the fans, and give us a reason to show up in 2012? Or has cinema’s time come and is soon to be gone with the wind… are we witnessing its demise hastened by streaming media? Share your thoughts on whether you will continue to go to the movies and what will motivate you to do so. It’s great to read something that’s both enjoyable and provides practical solutions. I will continue to visit movie theatres because of the experience of seeing films on the big screen. While we have a large TV, there’s just something about the whole theatre experience that I will always love. However, in order to get me there more often, just like with any marketing . . . The content has got to be great! Extraordinary is definitely preferable. Great post as always! The movie and entertainment industry are not in any real peril.